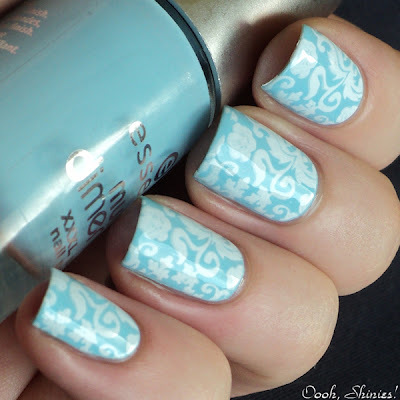 Today's post is a mani that I did a while ago, but I totally forgot about it until I cleaned my image folders. When I upload pics from my cam they go into a new folder, and instead of throwing the folder away after posting, I always slack until I have so many folders that I kinda have to clean it >.< And that's how I came across this mani, lol. This was Essence Fall For Me with Konad White and Red Angel plate 112.